Cambridge University Botanic Garden is a 40 acre, Grade II* listed heritage garden in the centre of Cambridge. 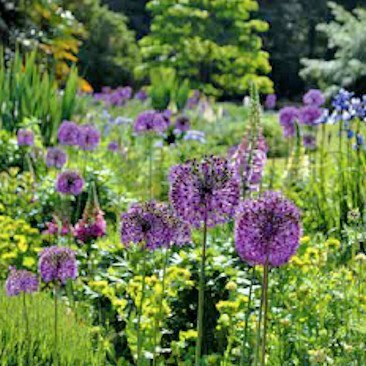 It is the most visited university botanic garden in the UK, welcoming over 300,000 visitors annually. The Garden supports University teaching and research while also being a place of enjoyment and inspiration to visitors of all ages. The Garden maintains the University’s collection of over 8,000 plant species from all around the world, including one of the region’s finest collections of trees, all set across beautifully designed and landscaped gardens and glasshouses. Highlights include striking seasonal colour in the Winter and Autumn Gardens; the richly fragranced Scented Garden; colourful Bee Borders; the Woodland Garden and Lake; and the new Rising Path offering a fresh perspective on the Garden’s historic Systematic Beds. Alpine and tropical plants in the Glasshouse Range are perfect for a cold day’s visit. The Garden offers year-round inspiration for gardeners and is an exciting introduction to the natural world for families. A number of events are held throughout the year as well as adult courses and workshops. See website for details. Visitors are invited to relax in the Garden Café and Terrace and enjoy the Botanic Garden Shop. Opening Times: Open every day from 10am. January, November & December 10am-4pm, February, March & October 10am-5pm, April – September 10am-6pm. Christmas closure varies, so please check in advance. Admission Rates: Adult Admission* £6.00, Concession Admission* £5.50 (over 65s and students with recognised ID card), Friends of CUBG Free, Children 0-16 inclusive Free (must be accompanied at all times by an adult). Admission tickets can be Gift Aided. Standard admission prices also available, see website. *includes an optional donation of 10% more than the Standard admission price. Group Rates: Prices as above. All groups of 10 or more need to pre-book with at least one week's notice. Facilities: Botanic Garden Shop with Plant Sales. Café for light meals, teas, refreshments. Disabled Access: Yes. Disabled toilets on site. Mobility buggies and wheelchairs available to borrow, pre-booking advised. See website. Guided Tours: Pre-bookable 90 minute tours available in the company of an expert Garden Guide. Tours showcase the history of the Garden and include seasonal highlights. Cost: £6 per person (minimum charge £60) plus normal Garden admission. Evening tours can also be arranged by request. Cost: £10 per person (minimum charge £100) plus normal Garden admission. A non-refundable deposit is taken at time of booking. Booking tel no: 01223 748450. Tours must be pre-booked a minimum of four weeks in advance. Parking: No. There is coach drop-off only near the corner of Trumpington Road and Bateman Street. For coach parking see downloadable map on website. If travelling by car, please use the Park & Ride facilities at Trumpington Road (off J11, M11) or Babraham Road, open daily. Length of Visit: At least a half day is recommended. Location: The Garden is situated ¾ mile south of the city centre.